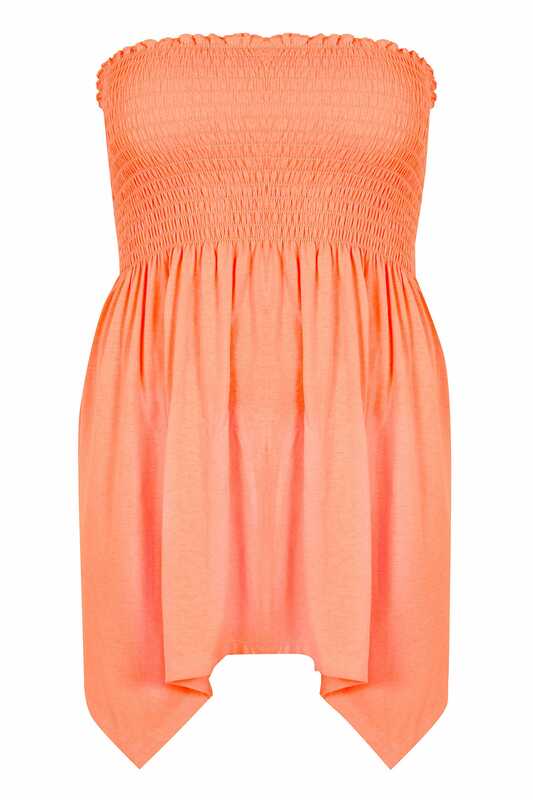 Refresh your wardrobe ready for the warmer seasons with this top. In a chic bandeau style, it features an elasticated upper for support and comfort and a hanky hem for extra coverage and a shape flattering finish. Perfect for teaming with denim and sandals for a go-to daytime look. 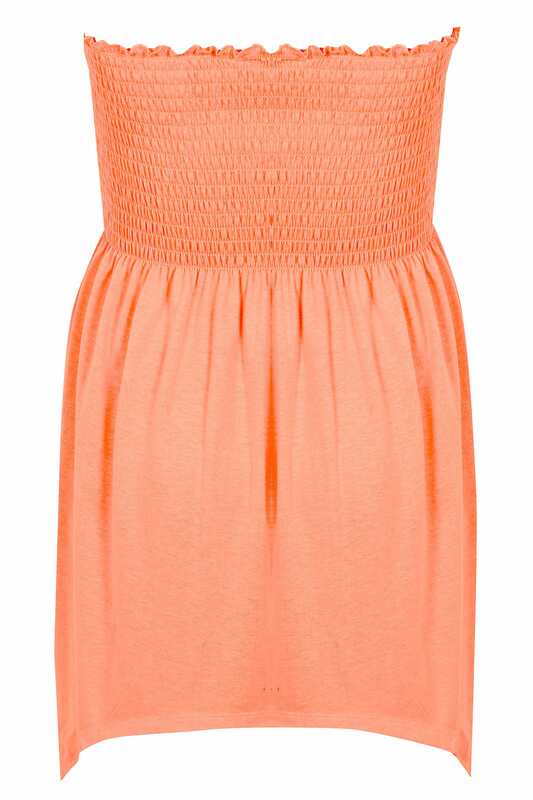 We love the bright and bold neon orange hue and the flattering shape.